It's that time again! Projectmates will be attending ICSC RECon 2018 to be held at the Las Vegas Convention Center & Westgate Hotel from May 20-23. ICSC RECon is the world's largest global gathering of retail real estate professionals with over 37,000 industry professionals & 1,200 exhibitors in attendance. The Projectmates team has been faithfully attending ICSC events for years, along with many other real estate conventions. In order to continue being the top construction management software for retailers, we feel it is important to continually surround ourselves with the leading groups in Real Estate Development and construction for the Retail world. ICSC RECon 2018 marks another opportunity for the Projectmates team to meet new faces, learn about their most pressing needs in today's real estate and construction management environment, and see what our solution could provide to address them. 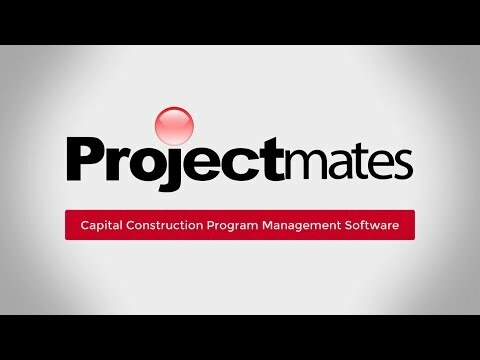 If your team is attending this year's RECon at Las Vegas and are interested in the benefits of utilizing Projectmates construction program management software, then we encourage you to stop by our booth, Booth # N1627 in the North Hall, and say Hi! Projectmates will be having live demonstrations during RECon. If you are attending and would like to schedule a free, personalized demo at RECon, click here. Projectmates will be going to the CMAA 2018 Capital Projects Symposium from March 18-20 at the Hilton Denver City Center in Denver, CO. Make sure you swing by our booth at the conference, Booth #1 in the Networking Area! Every year, Projectmates participates as an exhibitor at the ICSC RECon global convention. Held at the Las Vegas Convention center, the 4-day event came together with a whopping 37,000 attendees!